RPM/V:1400, 2S-3S LI-po, paino 25.9g, akselin halkaisija 3.17mm. Keveisiin 3D ja sisälennokeihin. This improved and more powerful brushless motor with neodymium magnets and a rotating case was designed especially for the fast growing area of indoor aerobatic models. 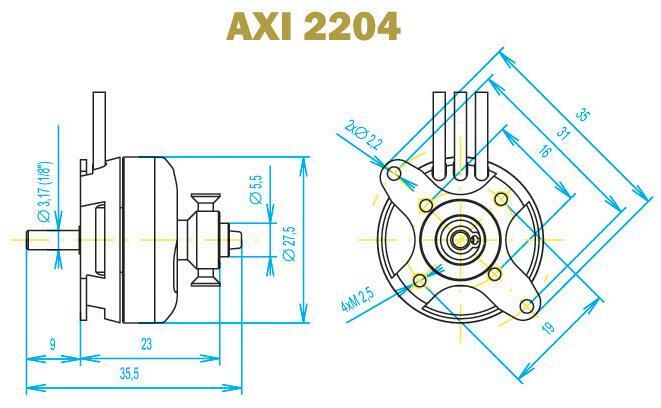 The AXI2204/54 GOLD LINE is very light (under 26g including prop saver and cables) and offers different mounting options. The integral prop saver makes the fitting of propellers very easy, and is safe for both the model and the propeller if they are involved in a hard landing which can happen indoors. 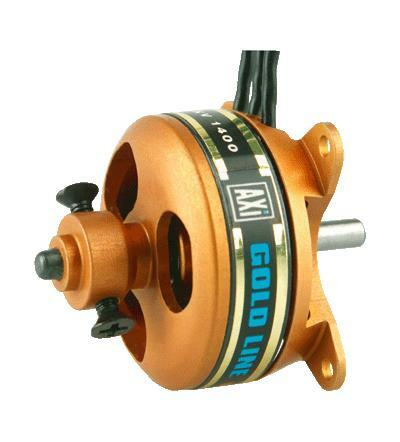 Although the construction of the motor is very light, the motor is still robust, and the hardened steel shaft is supported by two ball bearings. This motor is suitable for indoor or outdoor aerobatic models weighing up to 280g. Dynamite Foam Safe Activator, Pump 2 oz.